After working in a series of corporate IT jobs around the globe for fifteen years, David left the office behind in 2011 to travel and work from the road full-time. He founded and runs a travel technology site and a travel blog, and has appeared in the New York Times, Chicago Tribune, and other major publications. David has a Bachelor of Arts in History and Political Science from the University of Canterbury in New Zealand. 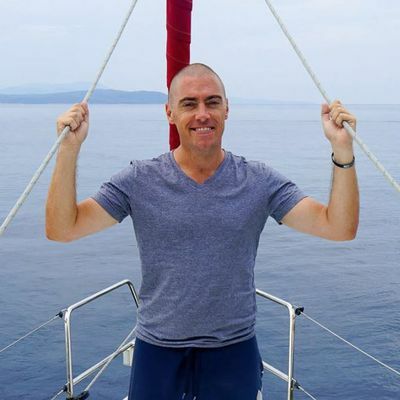 David worked in corporate IT for 15 years in a variety of support and managerial roles in the United Kingdom, Australia, and New Zealand, before switching careers to become a travel and technology writer and small business owner. Traveling full-time for 5+ years, he's now visited several dozen countries with a strong preference for places with great beaches and delicious street food. He started writing for TripSavvy in 2014. David graduated with a Bachelor of Arts in Political Science and History from the University of Canterbury in Christchurch, New Zealand.